Library and Information Week in Australia is 19 - 25 May. This week is a great time to celebrate libraries and what they mean to us. One of its highlights is National Simultaneous Storytime on Wednesday 21, when adults and kids all over Australia will read children's picture book, Too Many Elephants in this House. If you're interested in activity ideas to support NSS, check out my post, Resources for National Simultaneous Storytime 2014. Libraries have been a lighthouse in my life. When I was a child, our local library was in the School of Arts building. I remember dust motes dancing on a slant of sun that struggled through high, grimy windows. I remember the glorious fusty, musty smell of hundreds and hundreds of books, all for ME! Each time I enter my local library, I resolve to defend it against any political attempts to cut budgets or phase out libraries. A library is such an important space in any community - a haven for many, a place to find information, a treasure trove of delightful books, a way to encourage our kids to read and learn. Unlike entering the grocery store, a place I can’t wait to get out of, the library welcomes me and I feel instantly at home there. I hope you’ll take your children on regular visits to the library, make sure they have their own borrower’s card, and plunder all the treasures within it! 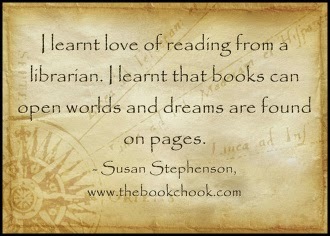 And if you love your local or school library, make sure you take time to tell your librarians so. The ones I know do an amazing job under very difficult circumstances quite often, and yet they always have time to stop, to offer help and enthusiasm for reading. Recently I became aware that my state government, NSW, puts in the lowest contribution to libraries in all of Australia. It contributes 7 cents out of every dollar, leaving local councils to fund the rest. No wonder public libraries in NSW are at crisis point! What can we do about this? The NSW Public Library Association has some suggestions. They urgently need petition signatures, but following then on social media will help too. Like them on Facebook and Follow them on Twitter, and you don't need to live in NSW to show your support! How do YOU use a library? 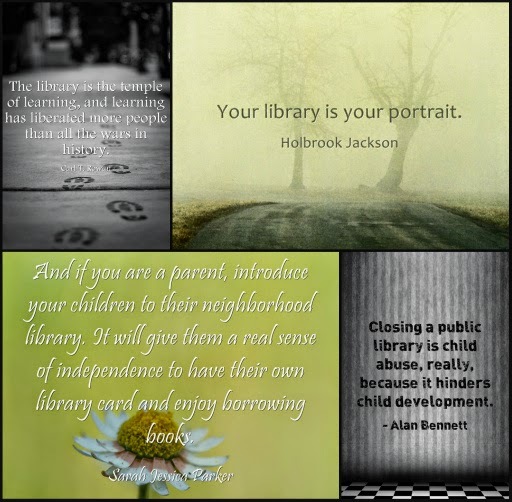 What do libraries mean to you?